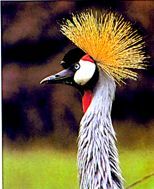 In November 2007, a team of twelve went on a mission trip to Uganda under University Presbyterian Church, Las Cruces, NM's oversight. The team consisted of myself, John Pickett, Ron Jones and Randy McMillan (laymen from Las Cruces); One Tulsa couple, Craig and Amy Bay; and three more men from Tulsa ­ Frank (An)Drew Files, Le Ron Jones, (a retired fireman and a pastor), and Don McDonald, (a Navigator on his 5th trip to Uganda).We had 3 "father - daughter pairs" on the team once Arial Pickett arrived. Randy McMillan and Ron Jones each had a daughter along as well. The three girls would spent a week exploring Uganda's National Parks, a project in developing a safari touring business with Rashid, but they also worked with us both before and afterwards. Our team bonded well, and we became good friends, and each made their contributions to the mission. The team rendezvoused in London Heathrow as the British Airways plane for Entebbe was loading on October 30th . We were met at the airport by a large group of pastors and laypersons. However, our leader, Pastor John Pickett, missed the London flight because his plane in Italy had to wait out a 3 hour thunder storm. He had to fly from London to Brussels, then to Nairobi, Kenya, and got into Entebbe at 1:15 am on Thursday ­ missing all his luggage and having no clothing in his carry on. It was a week before his luggage caught up with him - an ironic twist on Luke 9:3. The first night we stayed at Henry's "littlehouse" Kayumba. We had a wild thunderstorm that night around 3:30 AM, and the power was also out. Storms and power outages were frequent our first week. 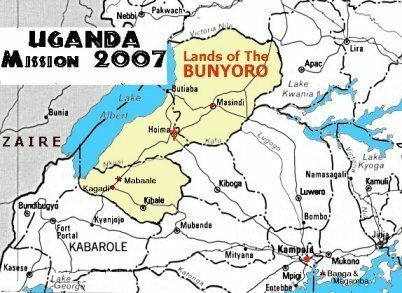 The next day we drove west to Bunyoro, a trip beset with some obstacles and a number of stops. The first night in the west, the whole team was together at Hoima. I preached in the crusade on God's care of widows. The generator had failed and with it the P.A. equipment. Edward, the pastor at Hoima, interpreted for me as I preached by flashlight. LeRon preached later on the radio in Hoima for the first time. Then the team split to minister to both Hoima and Maabale. Le Ron, Ron and Rachel, Randy and Jodi and Don stayed in Hoima with Edward. The Maabale team consisting of John, Craig and Amy, Drew, and myself would minister at Maabale with Francis and Lazarus, but stayed at a guest house in Kagadi about 30 minutes drive south of Maabale. Maabale has no power or running water - but a thriving church and a lot of ministry going on. Pastor Francis is doing a wonderful work there ministering to a lot of needs. We did door-to-door evangelism ­ my gospel presentations and discussions at the Police Station, and with a number of prominent older men on the main street drew substantial numbers eager to hear what these "elders" are talking about. The crusades in the evening had to deal with rain showers one night. There were about 350 at Sunday worship. Because of heavy rains (Ie ample mosquitoes) there had been an outbreak of Malaria in the West and we brought a whole lot of mosquito nets to give out through the church or while doing door-to-door. I worked with Kagadi pastor Lazarus during the Door-to-door, and preached at his church on Sunday morning. They have some property at Kagadi but really need a sign and a building to establish their presence there. Currently they meet in a bar. I preached in Maabale on the "seeking the lost" parables of Luke 17 in the evening crusade, it was especially demanding in the dark ­ the lighting system ­ a single light bulb having burned out ­ where you could not see the audience, and they barely you. During the invitation the only lights were flashlights. At Maabale, it also rained on night during Craig's testimony ­ the people sought shelter behind the platform under an awning, so he turned around to face them and continued. Sunday morning I preached on Psalm 126 at Kagadi, then literally raced in a hired car packed with six in the back seat to Maabale. In some ways this has been one of the most rigorous trips I have made to Uganda. I didn't sleep well the first week. I spent only two nights of the first eight in the same bed and usually my rooms' showers didn't work. We were very busy with a lot of 10-12 hour days. Especially demanding was the many hours spent in the taxi-vans, bumping over rough roads sometimes muddy and slick and sometimes very dusty. Sometimes I had luggage and laptops in my lap - which made nice seatbelts! Or dealing with usually impossibly snarled traffic in Kampala and on the Mukono road. There were only a few days that didn't include at least a couple of hours or more of travel to and from our venues of ministry. We had some terrific drivers! The trip from Maabale to Hoima after the church on the 4th in pouring rain was one of the most harrowing trips I have ever had in Uganda. We took 5 hours for a 1.5 hour drive. We had to get out and push several times, almost spun off the road once, ran out of diesel ­ Francis went to fetch more on the back of a passing motorbike, and waited as a steep wet road with several vehicles stuck in the middle of it, blocking it, were cleared out. Then we needed extra help to get up the hill on the other side. We stopped at Masindi that night, the rest of the team had already gone on the Paraa Lodge at Murchison Falls National Park. The next day we caught up with them for safaris up the river, and on land to see lots of giraffes, cape buffalo and a variety of antelopes. The lodge was nice ­ and had a wonderful shower! At Masindi the lights and P.A. worked as I preached on Matthew 11:25-30, but plenty of insects were also attracted by the lights! A problem when my hands were occupied with a microphone and Bible. There were usually crowds of several hundred people each night. There also were always lots of children at the crusades and Craig, Amy, Drew and Ron always had a crowd of choildren around them. The Jesus Film was shown afterwards each night in the Runyoro language. It was great working with Pastors Edward, Lazarus and Francis and the teams from their congregations. Along with our team of 12 were quite a few Ugandan Presbyterians that joined us for door-to-door evangelism, setting up the crusade sound equipment, singing and dancing on the platforms, cooking large amounts of rice and matoke, etc. They camped in a tent Masindi, and rose each day at 5 am to pray. And our fellowship with them was always warm and encouraging. I dis door-to-door for two days with Dorcus, who does children's evangelism in Hoima. She was persistent in sharing the Gospel. Gared, a student from Kampala traveled with us to the West, and James a evangelist from Soroti would work with us in Mukono, along with Emmanuel, the music Director at Ntenjera. Our ministry in Bunyoro went well ­ First in Hoima, and then in Hoima and Maabale and in Kagadi ­ as we were strengthening the churches in those places, sharing Christ with many and seeing numbers come to faith ­ climaxed with a successful church plant in Masindi. We saw numerous conversions there every day and found there is a hunger for the gospel. After we left Masindi on Friday, they continued the work ­ even endured a few stones thrown at the Saturday crusade. There were 30 adults and 70 children at the first church service that Sunday ­ mostly new believers! And if the Lord provides, we have a property available for $20,000 with a useable building right in the center of Masindi. Friday, August 9th, our team left Bunyoro for Henry's house, Kayumba on the Entebbe road from which we dispersed into a variety of ministries in the Kampala/ Mukono area. John Pickett was administrating the Church Army conference at Kayumba. 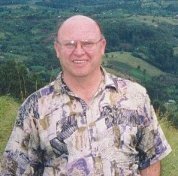 The Church Army is made up of Church of Uganda (Anglican) lay evangelists and missioners ­ about 36 came and Dr. Krabbendam and John taught. These men and women are so zealous for the gospel and creative in the way they pursue its expansion. Some of our team went with Don Macdonald to Ntinda, a "suburb" of Kampala. Others of us worked with Dr. Kefa Sempangi (author of A Distant Grief) in evangelizing isolated Buganda villages located near Lake Victoria in the Mukono district. He has been working there for a while, and has steering committees assisting him in the church planting. Their greatest need is pastors! These villages also need schools and clinics, and other development needs. Our first venue there was Banga, a village of about 300 people where Kefa was born, right on Lake Victoria. He returned a few months ago to find that it hadn't experienced any change since he had left at the age of 12 to start school. Surrounded by a dense forest, accessible only by a goat track of a road, which the villagers had hacked out for us ­ it took us an hour in a 4 wheel drive vehicle to drive the four kilometers down to it. They have no schools nearby and it is not safe for children to walk through the forest, no clinic, only one store and it is not much bigger than a closet. Most of the children had never seen a mzungu (white man or woman). Kefa told us that in their culture decisions are made by the group as a whole, not as individuals. Along with me were Ariel Pickett, Jodi MacMillan, Craig and Amy Bay, and Rushid Luswa. They had a pole and tarp shelter for us to meet under. The village chairman greeted us then we were welcomed with songs and dancing. That was followed by a presentation of their needs. Our time of testimonies was interrupted by a terrific rain shower which had us spilling the water off the tarps before they collapsed on us. The Spirit led me to preach on Jeremiah 17:5-10, instead of the passage I had thought I would preach on. It spoke to their desire for development (vs 5-8 "Trust in the Lord ­ not man" and where The Lord begins ­ our hearts ­ deceitful and sick. Then to Titus 3:4-7 where hearts are cleansed; ending with Rev 4:20. Dr. Kefa took over for the invitation ­ and practically the whole of the village gathered there responded by rising and praying the prayer of acceptance the Lord that afternoon ­ around 100 plus!!! Dancing and a meal of rice and matoke and stewed beef followed. Sunday, LeRon West, an African American pastor on our team from Tulsa, and Craig and Amy, Rashid, James (a Ugandan Pastor from Soroti), Emmanuel and I ministered at Kefa's Ntenjeru church ­ filled to capacity. The Bays did Sunday school for a large group of children in the shade of a Mango Tree. Mugs of African Tea and rolls were served during Sunday School as LeRon spoke on the Rich Man and Lazarus. Few have any breakfast before walking to church. I preached again on Psalm 126; and after the meal, I taught a mini-seminar on stewardship, and LeRon did a two way Q&A. There were more professions, and much interest in the discussions. Monday, I went with Randy MacMillan, and Drew Files - lay members of our team - and James to Sozi ­ another isolated village where we met beside a catholic school ­ welcomed by its chairman and a choir of school children. It was hot day. They shared their needs ­ health and school concerns, agricultural needs, etc. Following our testimonies, I preached on Isaiah 55 - "Are you thirsty? Are you Hungry? Come... listen to My Word. Seek the Lord while he may be found" Again speaking to development (God's purposes for us) and the Gospel where God's work begins. Again, practically everyone there responded to the invitation ­ and Randy lead in the prayer of acceptance by around 150-200 people. LeRon and Randy went to a third village on Tuesday where about 30 professed faith. And so much more has gone on. There was "Frank", a 16 day old new born baby boy whose mother had died a week after his birth ­ being kept alive on cow's milk. Our team provided formula and will continue in this orphan's support at Maabale. We distributed mosquito nets and Runyoro and Buganda Bibles. We spent much time with the Bunyoro Pastors, where the businessmen laymen on our team made quite a contribution; and even took Pastor Francis and his wife, Totti, with us on our brief safari to Murchison Falls for a first time ever "getaway" from their 12 children and a demanding congreation. We comforted Mukasa, our driver, and James from Soroti as word came of deaths in their families. We left funds to help Hoima and Maabale and Kagadi with their buildings. Orphanages were visited. And there was so much more that happened. Every day AF-REE-KAH left us astounded. And all this time the Ugandan Christians were ministering to us as well. Do continue to pray for the works that have begun. Thank you again for Those who contributed support and prayers, which made this possible. In part through their help, a total of $3739.60 was raised towards my portion of the mission. I could really sense your prayers as well as we worked though long hours sharing God's love and Jesus to a people hungry for a word from the Lord! Prayer provided for me also vacation paychecks from next year to cover my lost income for those weeks away from my employ-ment. I arrived home after two 9 hour flights and a 20 hour layover with the team in a guest house in Central Houslow, London, where we spent one last night together accompanied by Susan, Edward's daughter, who got a visa to spend some time in Las Cruces with the McMillans ­ her first time ever out of Uganda. Even there, Uganda lingered. At breakfast we ran into a missionary couple with three children on their way home for a furlough from their work with New Hope Uganda in Luo!